In the fertility and cosmetics industries, women’s body products – such as urine, eggs, and placentas – have moved from being seen as waste to becoming valuable ingredients. 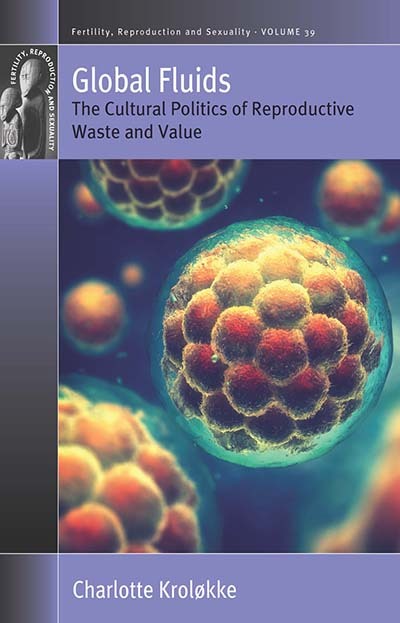 Taking a sociological and anthropological perspective, the author focuses in particular on the role that countries like Denmark, Spain, the Netherlands, and Japan play in the reproductive products industry, and discusses the moral limits of the cultural and rhetorical trajectories that turn women’s body products into internationally mobile substances. Charlotte Kroløkke is a Professor in the Department for the Study of Culture at the University of Southern Denmark, with special responsibilities in cultural analyses of reproductive medicine. She has headed several interdisciplinary research projects on assisted reproduction and the fertility industry, and has published widely within the field of feminist communication and cultural analyses of reproduction.